Again, all Committee appointments are to be made by I.B.E.W. 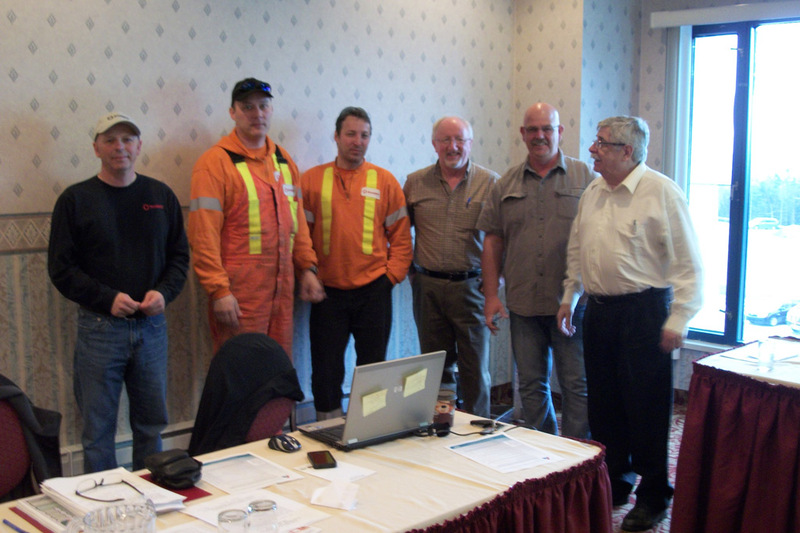 Local 1615 President to bona fide joint Labour/Management Committee's. 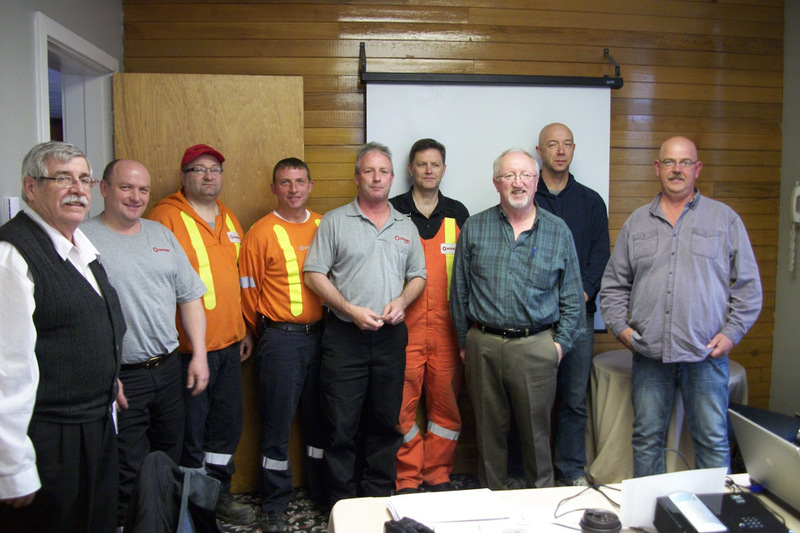 Bargaining Unit members that have been appointed by the Company (Hydro/Nalcor) to various Committee's, or told to be part of these Committee's, will not be recognized as joint Labour/Management Committee's unless agreed to by the Union and the Company. As union members, you have a right to refuse participation on such ad-hoc Committee's. On behalf of all the Table officers and Executive Board of I.B.E.W. 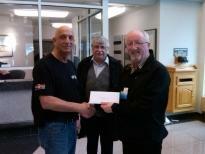 Local 1615, we would like to extend congratulations to you Roy on your retirement. 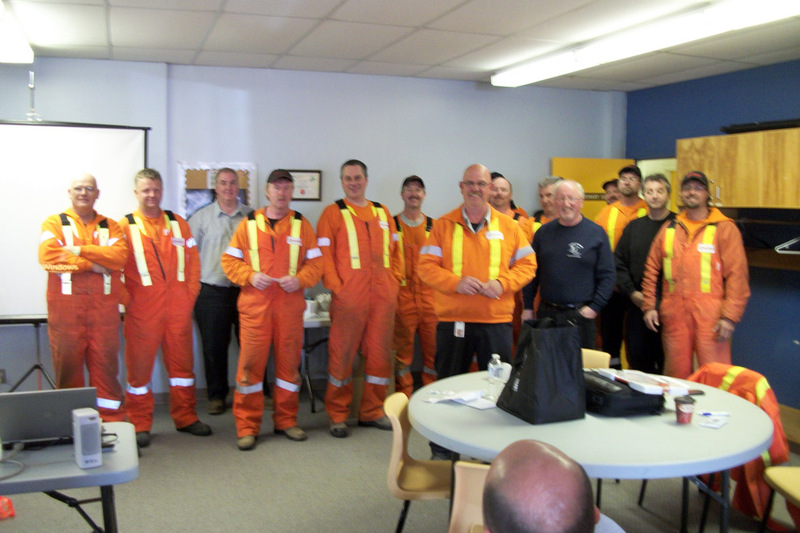 President Jabez Lane receives the President's Safety Award from CEO Ed Martin on Friday, November 19, 2010. Rogers employees were awarded I.B.E.W. pins to commemorate their years of service in St. John's. (Click images to view larger size).